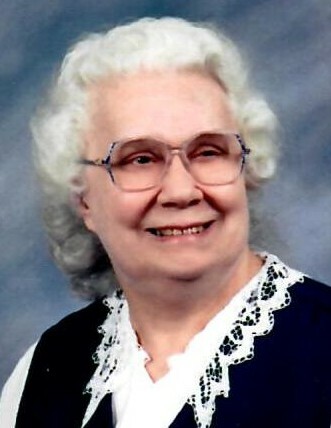 Shirley A. Lembke, age 82 of Clintonville, passed away on Sunday morning, March 24, 2019 at Greentree Health and Rehabilitation Center, Clintonville. Shirley Anne (Wilke) Lembke was born September 7, 1936 in Green Bay, WI, daughter to the late Edward & Alma (Olson) Wilke. As a child, she grew up in Crandon, Embarrass, and Clintonville, WI. Shirley graduated from Clintonville High School in 1954. Following graduation, she worked at the Clintonville Hospital in the medical records department. Shirley was united in marriage to Herman Lembke on June 22, 1957 in Clintonville. She was a member of Calvary Apostolic Church where she was a very active member; teaching Sunday school for many years, and serving as church secretary/treasurer for 35 years. Throughout her life, she also worked at the Hansen Glove Factory, shoe factory, library, and Econo Foods, Clintonville. Shirley was a positive, fun-to-be-with person who loved playing Skip-O, crocheting, baking, and spending time with her family. Herman preceded her in death on January 20, 1992. In 2006, Shirley survived a brain aneurysm and has lived at Greentree Health & Rehabilitation Center, Clintonville, since 2007. She was well liked by many and will be missed very much. She was preceded in death by her parents & three sisters: Elaine Schneider, Janice Wilke, & Jerolyn Wilke. Funeral services will be held 1 PM Friday, March 29, 2019 at Calvary Apostolic Church, Clintonville, with the Rev. Patrick Kloehn and the Rev. John Soto officiating. Interment will follow at Graceland Cemetery, Clintonville. Friends may call on Friday at the church from 11 AM until the time of service. The Eberhardt-Stevenson Funeral Home & Crematory, Clintonville, has been entrusted with Shirley’s arrangements.